When we think Scandi Chic we think simple, minimalist but warm and extremely stylish. Here in 5 easy steps we show you how you can get the look in your home. Make a simple statement and mix it with a little drama by going monochrome. 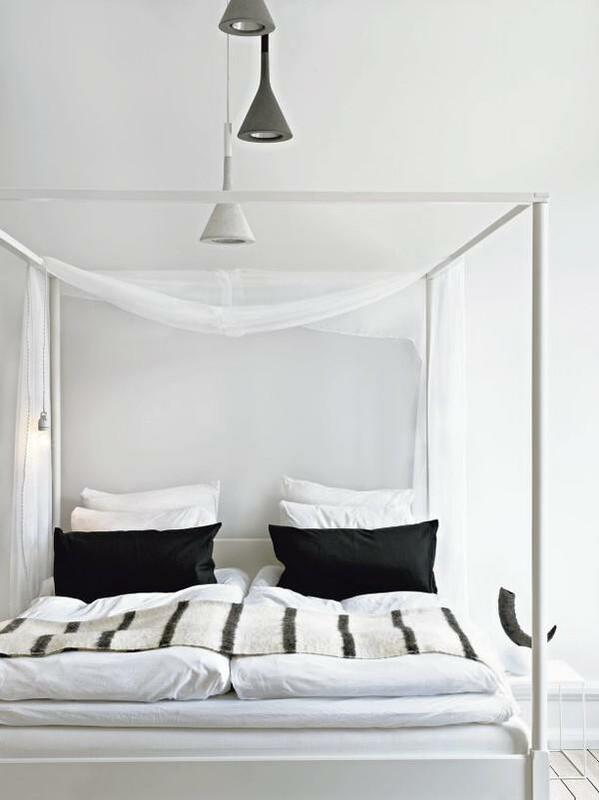 This is great for two reasons, it fits with the style (Scandinavians love to decorate with monochrome) and black and white never goes out of fashion. To top it off you can revamp this look over and over again by adding different colour accessories to freshen it up without a complete overhaul. When you see a fully kitted out Scandi style room it’s easy to think ‘this can’t be all they own’, ‘they must stash of their junk somewhere’. Maybe this is down to the Scandinavians way of storing things, it’s not that they own any less than the rest of us but they know how to store things in the most effective way. 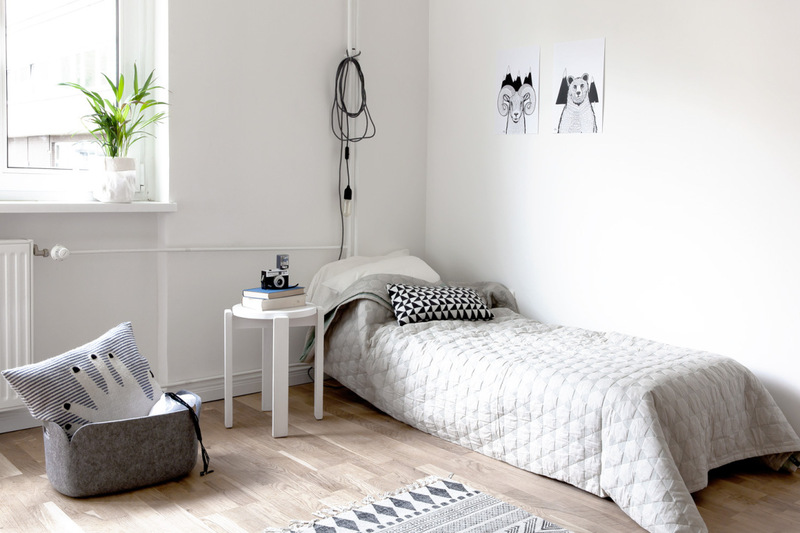 Storage for Scandi’s is nothing but sleek, compact and super chic. Maybe they do own less than us due to the exposure some of their storage solutions give them. Such as open rail hanging for clothes, this would certainly make us a little more ruthless when it came to what to keep and what would look good on the rail where it will be for all to see. It does seem an effortless way of styling though and this is how it needs to be trendy, effortless but practical all rolled into one. Mid-century modern pieces are ideal to complete the look creating a focal point while increasing storage in order to maintain the minimalistic feel of the room. For a modern twist go white for a more crisp clean look and add wire accessories to store smaller items. Scandi Chic isn’t just about monochrome; pastel colours are a great way to add colour and they look great against a white back drop. Keep the backdrop simple and add colour with accessories meaning you can change your look more regularly depending on your mood. Throws and cushions are also a great way to change it up. Wood furniture in the right style can also add a little welcome warmth and colour, as well as plants. Add warmth and ambience to your room with the right lighting. Scandi chic lends itself well to vintage industrial style lighting as well as studio style lights and spotlights. Add texture with the use of natural materials such as leather, fur, wood, wools and linens to make your room the sort of place you want to curl up and relax after a long day at work. The Scandinavians are well known for their wicked sense of humour. This is visible in their very stylish but tongue in cheek artwork. A great way to bring warmth to bare white walls and add a little of your own personality to a room. Choose large quirky cushions, graphic posters, geometric style rugs and vintage objects to compliment and bring the room together. Stick to that monochrome palette but add your own personality for the ultimate Scandi Chic finish. At The Orchard we have a wide range of Scandi style interiors why not take a look for yourself… http://www.theorchardhomeandgifts.com/furniture-collections~61-c.html Our Bayonne collection in particular with its white washed, textured timber top surfaces with white or grey painted bodies works so well in a Scandi Chic influenced room. In addition to what we offer on site The Orchard also offers a product sourcing service. Our network of manufacturers and suppliers produce far more than just what we collate on the site. Give us a brief and our experienced team will pull together a selection of products which will match what you are looking for. You can reach us Monday to Friday, 9.30m to 5.30pm on 0116 326 0207 or by email at sales@theorchardhomeandgifts.com. Drop us a line, we are always more than happy to help on new product finding missions! ← How to drill holes in a terracotta pot or planter.